This municipal building and its grounds occupy a sixteen-acre elevated site on Smith Hill, in what had previously been a predominantly African American neighborhood throughout the nineteenth century. 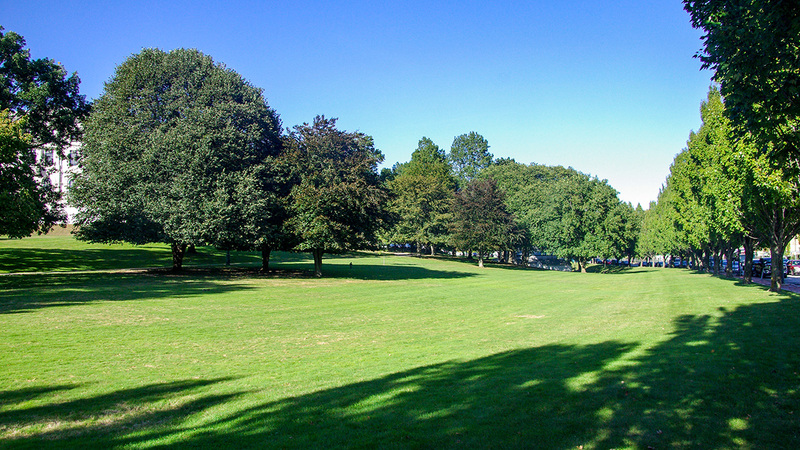 Selected for its viewshed, as the proposed building would be visible from all parts of the city, the site’s initial six acres were acquired in 1895 by the Public Park Association of Providence. 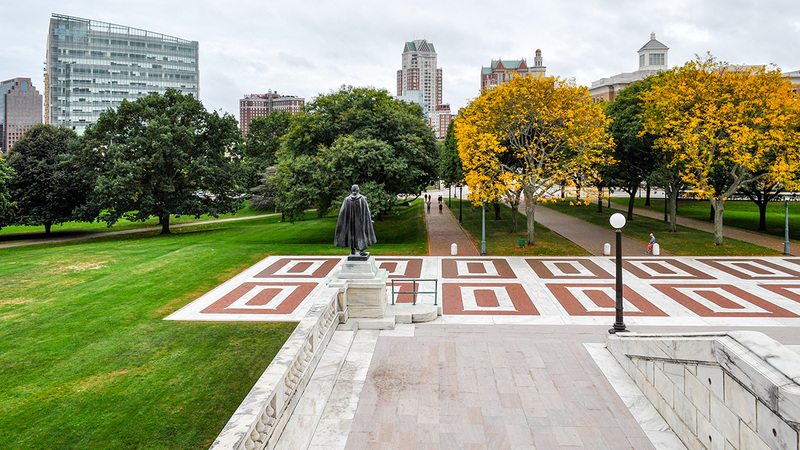 Having won a competition to design the State House, McKim, Mead & White, one of the nation’s leading firms, was awarded the contract, and construction of the Beaux-Arts building began later that same year. 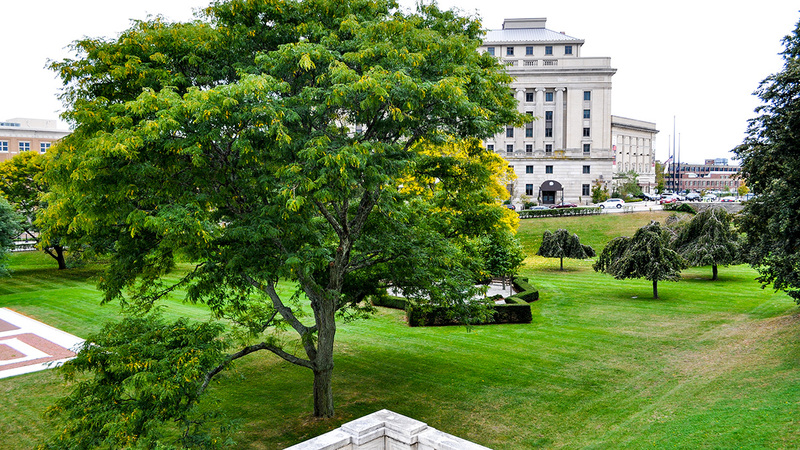 Landscape architecture firm Manning Brothers of Boston designed the State House grounds, completed in 1904. Enhancing its monumentality, the building sits atop a terraced earthen platform bounded by Francis and Gaspee Streets. At the building’s north and south entrances, rectangular paved areas of red brick and white marble enhance its axial symmetry. 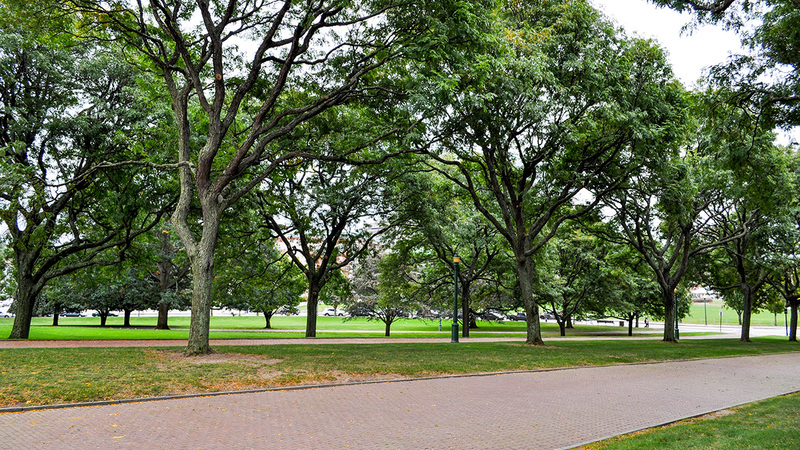 The southern rectangle borders three parallel rows of brick pathways aligned with the building’s entrance, framed by allées of trees, likely added in the 1960s. The landscape has undergone several modifications since the 1930s, including an expansion of the parking lot adjacent to the building's northeast corner. 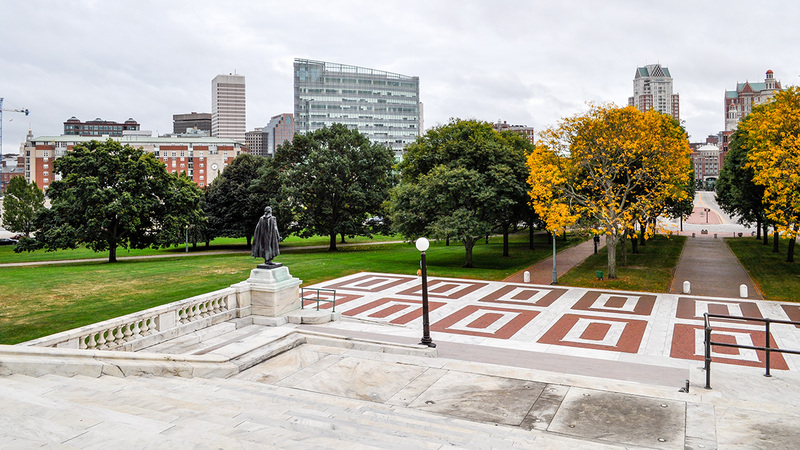 The most radical changes to the landscape came in 1986 when a train station, replacing one located farther south, was built on the southeastern border of the State House lawn. The railroad tracks were shifted, Gaspee Street was realigned, and the southern stretch of Francis Street was straightened to create an axial approach to the State House’s southern facade. 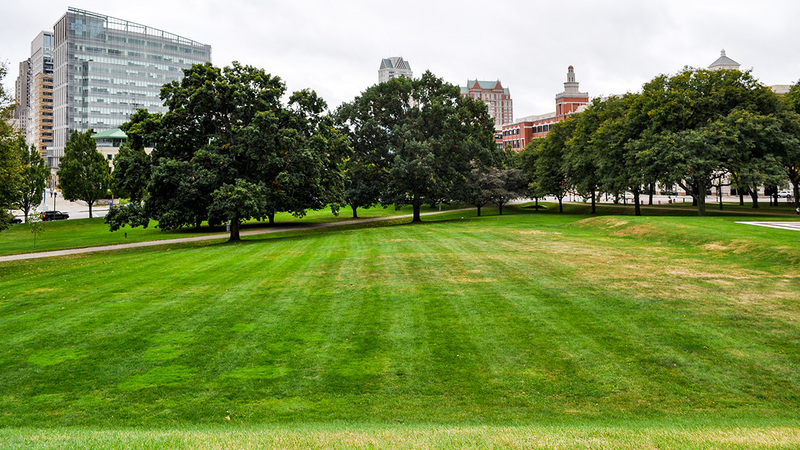 Three-quarters of an acre were ceded from the State House lawn in the process. To mitigate the loss of acreage, State House Park, just west of the new train station, was added. 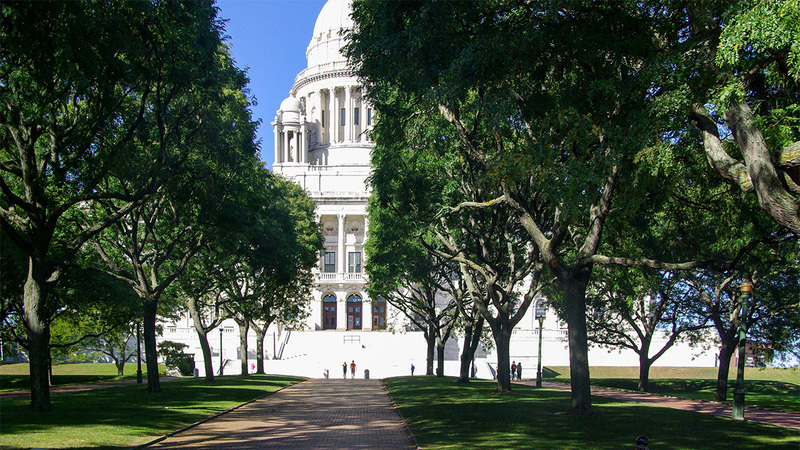 The Rhode Island State House was listed in the National Register of Historic Places in 1970.